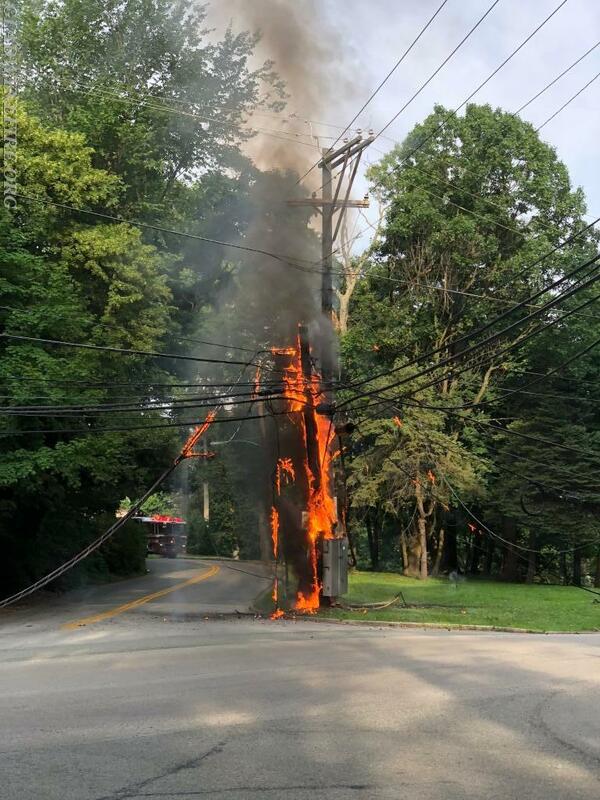 While most of the community were swimming or in the air condition to keep cool on Sunday afternoon, Gladwyne Firefighters were dealing with a large electrical fire that shut down Conshohocken State Road and Lafayette Road. 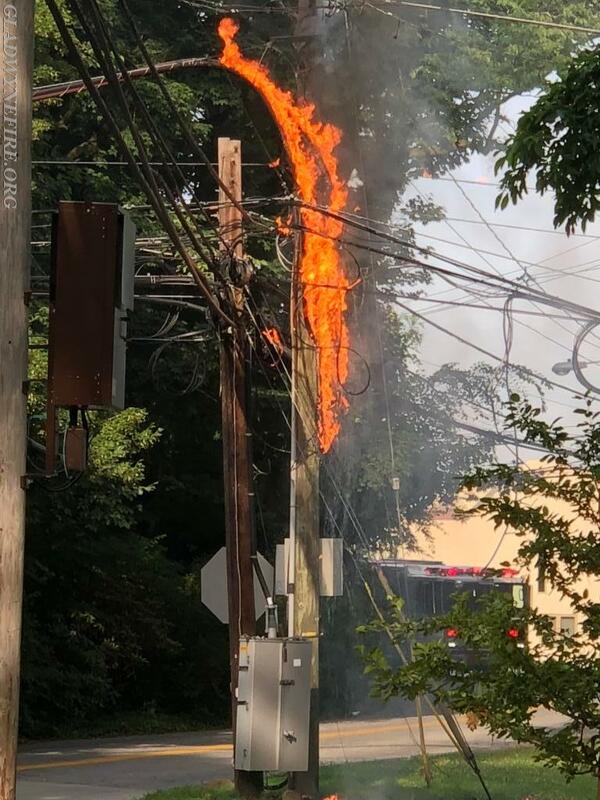 Firefighters arrived on location to find a large PECO bundle wire on fire that eventually spread to multiple other wires and cables. 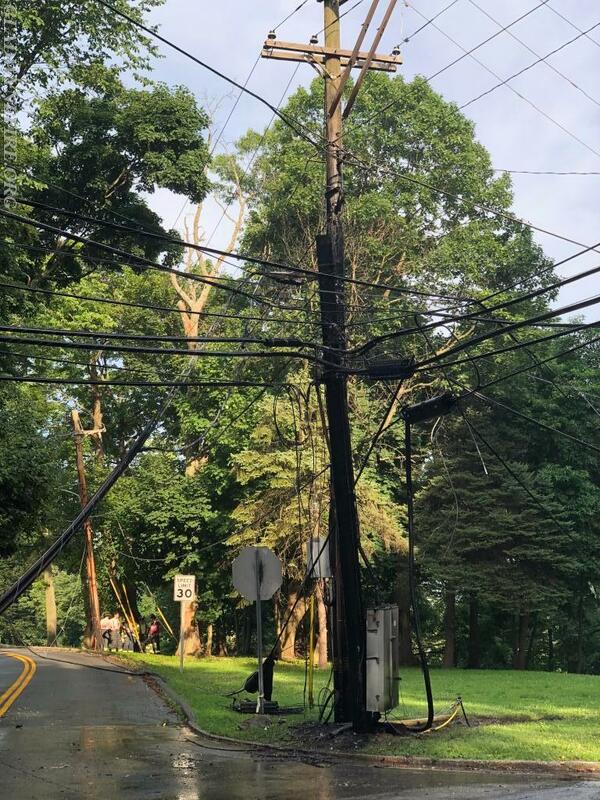 Once PECO arrived and confirmed that ALL of the wires involved were shut down and there was no danger to the firefighters, the fire was extinguished. 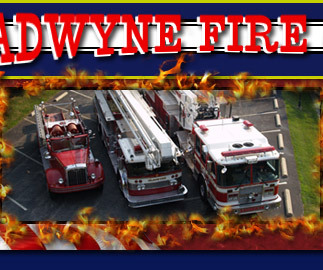 Gladwyne Firefighters were on scene for just over an hour and a half. While the 2 engines were on scene of the call, the Ladder truck assisted Ardmore Fire Company at the Sunrise Assisted living facility on Montgomery Ave for a dryer on fire on the 3rd floor. Thank You to all of our Firefighters for responding to these calls in the sweltering heat.